A production bike based on the Lac Rose concept is definitely imminent. MCN recently got a sneak glimpse of three new GS models set to be unveiled at EICMA next month – starting with a new, ‘R80G/S-inspired’ version of the popular R nineT. At the exclusive LA press event, BMW allowed MCN a quick look (with cameras strictly prohibited) at the new RnineT ‘Urban GS’ – the production offspring of the Lac Rose concept – along with the G310GS MCN spied on the road last week, and a revised version of the R1200GS. The ‘Urban GS’ will be the fifth member of BMW’s ‘Heritage’ family and joins the original RnineT, Scrambler, plus recently introduced Pure and Racer, both of which were unveiled at the recent Cologne show. Like those, the new bike is based on the 110bhp, oil-cooled RnineT boxer platform but this time with more specifically early 1980s R80G/S enduro styling and BMW’s white/blue/red ‘Motorsport’ livery. 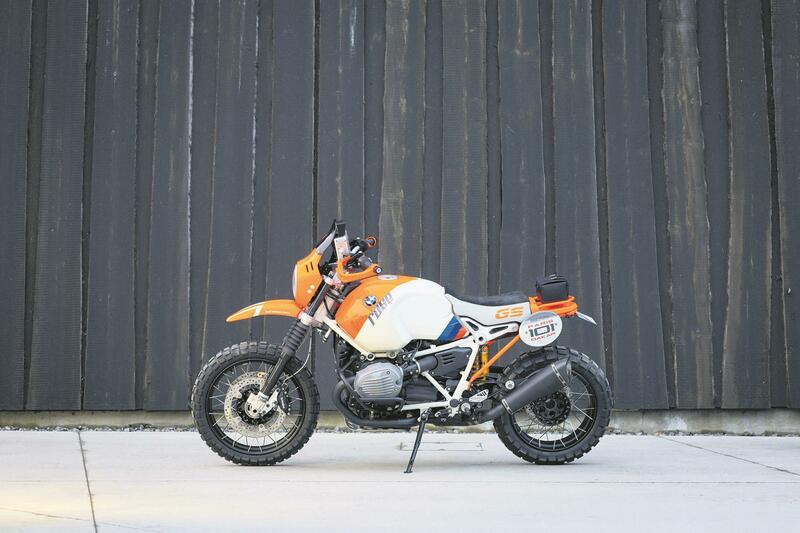 Imagine the current RnineT Scrambler blended with the 1983 R80GS P-D and you’ll get the idea. MCN also had a sneak peak at the new G310GS and updated R1200GS. The G310GS, as predicted by MCN, is an enduro-styled version of the firm’s all-new, entry-level G310R launched earlier this year. The 1200GS, meanwhile, is claimed to feature a host of modifications to its 125bhp powertrain to comply with Euro4, and subtle chassis modifications, too.